I think it's a common misconception that to blog about fashion/style you have to spend a lot of money on clothes. I mean, if you're not already into clothes and you suddenly decide you want to start a fashion blog then yes, you're probably going to end up spending more money, but I think it's a safe assumption that if you start a blog about clothes it's because you already like them so you're probably already buying them. I haven't kept a tally chart or anything (although I wouldn't put it past me), but I'm pretty sure the amount of money I spend on clothes hasn't increased since starting my blog. Believe it or not, I don't actually spend a huge amount on clothes. It's all relative obviously, but (very quickly worked out using my online banking statement) this year I've spent on average roughly £50 a month on clothes (which includes shoes, bags, anything wearable), which I really don't think is too bad. Maybe you do think that's bad or maybe you think it's very restrained - like I said, it's all relative. So, seeing as I blog about fashion without actually spending all that much money (in my opinion), I thought I'd throw some ideas out there on how I manage that. 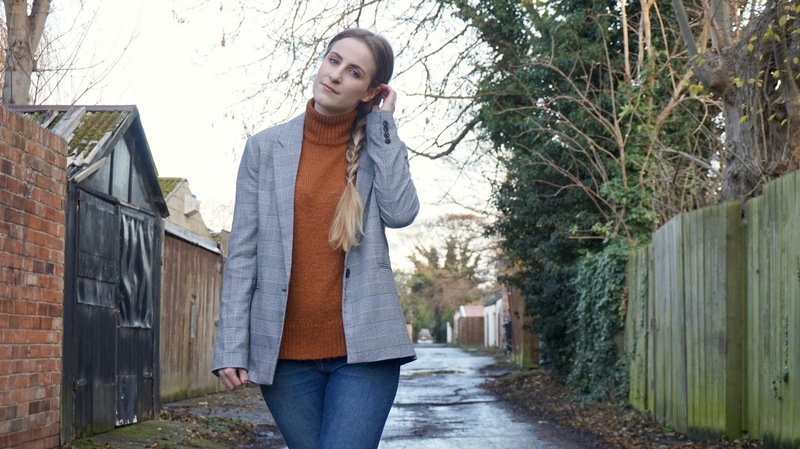 Re-use clothes in multiple outfits | Every item of clothing I'm wearing in this post has featured on this blog before, they just haven't been worn together. 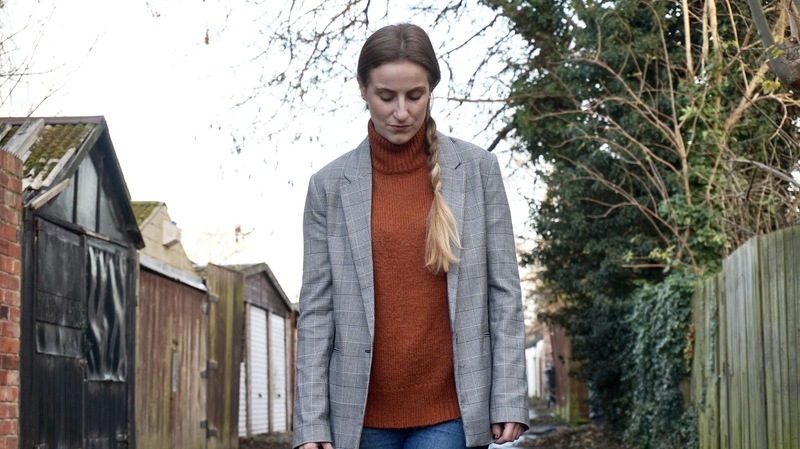 These jeans in particular are probably one of my most worn items on this blog because, well, jeans go with a lot don't they? 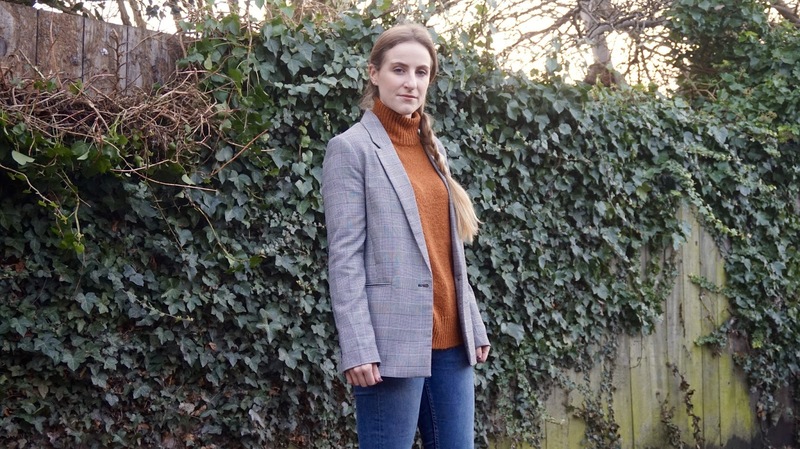 I try not to feature the same items too close together, but I've worn this blazer on here once a month since I bought it because it's so versatile and can be styled in such different ways. It's surprising how many different looks can actually be created using the same items and it's something I take advantage of in everyday life so naturally I document that on here too. 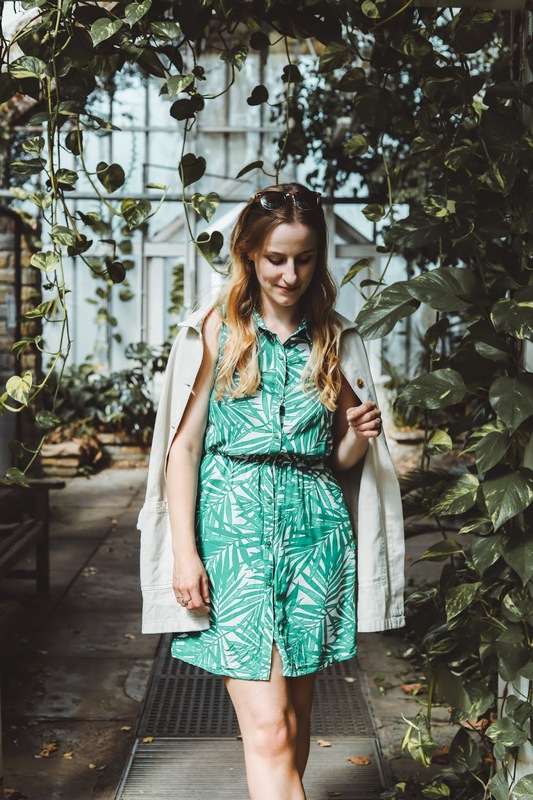 Don't be afraid to wear old clothes | The reason I prefer to call myself a 'style' blogger is because I don't always keep up with the latest fashions and I'm a bit of a hoarder of clothes so I'll often wear things from years ago (i.e. so last last last last season). 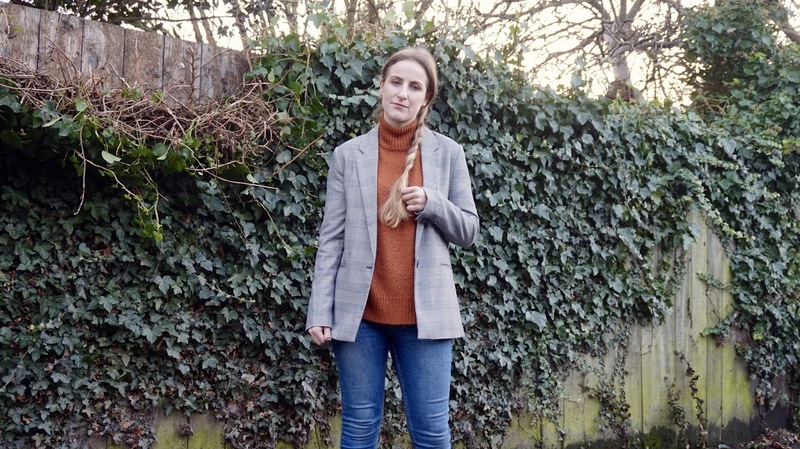 There's this unwritten pressure when blogging about clothes that everything you're wearing should be current, but it really doesn't matter and I'd much prefer to see what people actually wear on a daily basis. For me, that includes a lot of older clothes, which gives me more options when I'm styling outfits and also saves money. I've found that people really don't mind when I wear older clothes for outfit photos (why I ever thought they might I don't know) and I've actually had positive comments when I've worn certain items a lot (hello embroidered jeans). Sale shopping | When I do shop, I don't spend a lot of money. I know there are differing opinions on going for quality over quantity, but in all honesty we don't all have the money to spend on high quality items do we? The only things I really invest in are jeans and boots (although when I say invest I mean £40 jeans from Topshop, not Levi's or anything...) and I find that those investments are worth it because they tend to last years. I rarely buy something that's not in the sale unless it's from Primark or at the cheaper end of the scale already. I suppose the only downside of buying in the sale is that you might not be featuring the very latest trends as soon as they're available so if that bothers you then that could be an issue, but it's not something I really care about so I'm happy to wait. Focus on style, not fashion | As I said, I like to class myself as a style blogger rather than a fashion blogger. I don't necessarily keep up with the latest trends and I definitely don't know anything about designers and upcoming seasons etc, I just like talking about what I wear and why I like it. 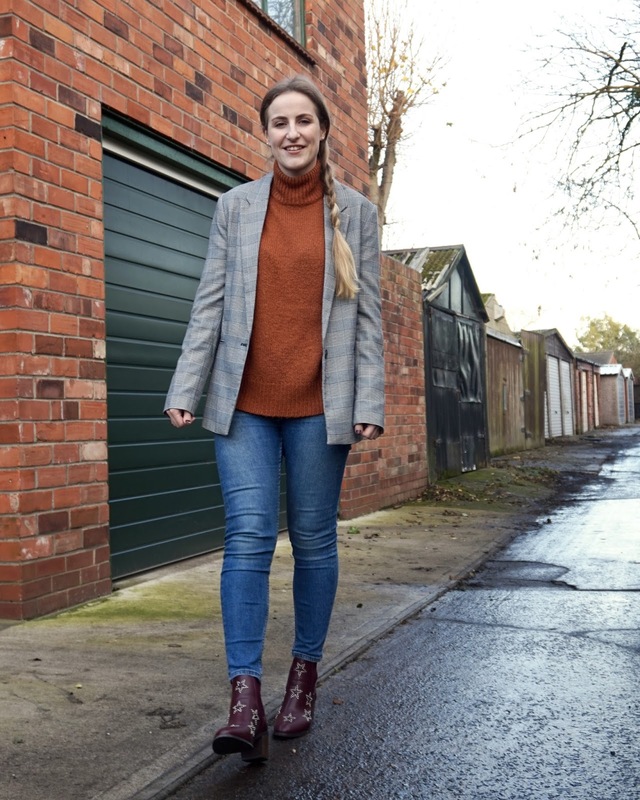 It was never a conscious decision for me to focus on style rather than fashion, it was just the natural option because of how I am, but it's been very helpful for saving money because I don't feel like I need the latest trends and I've been able to carry on enjoying clothes as I did before my blog. Do you blog on a budget? I used to be one of those people that bought a new outfit every time I went out (to some extend I probably still am, just go out less often! ), though I'd like to think I look for more key pieces when I'm buying now, purchasing items I can wear again and again. I love how trends come back in and out of fashion as it makes you want to choose pieces more wisely and hold on to your clothes for future use - the downside is I'm a complete hoarder! This blog post is super helpful! I feel like sometimes I get frustrated that I can't afford to get all the trendy items for the season to blog about. I have a closet full of clothes tho! Definitely going to be trying to experiment with style blog posts more often because I really do have fun with them. I agree with you, one doesn't have to spend a lot too have a fashion blog. I am amazed about the amount of money you spend every month, well done! In my case, I always spend what I consider a lot of money on clothes, but recently I started to think that this is stupid from my side. I have loads of things I never wore, at least 50 pairs of shoes that I thought "I need them!" and as I saw now, no, I didn't, since I still never wore them. I want to start the year in a different way, will try to consume less. I agree with your tips - re-using pieces is a good idea. I loved your jumper, blazer and the boots, wow! Yoou look very beautiful, always! Hope you have a nice day! Great tips Amy! I'd definitely rather buy something classic which I can wear multiple times. Cool pictures too! !